Knee replacement is considerably a major surgery in which the damaged bones areas are removed and replaced with the prosthesis. A complete care will be provided by the medical team until the patient is in hospital. However taking care of the patient after discharge makes a point here. The attendant’s dedicated concern only helps the patient in faster recovery and from there his pain-free journey begins. 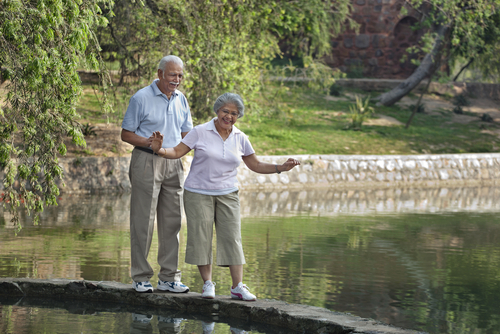 Caring your loved one both physically and mentally recuperates him soon. Preparing the room helps in ensuring a smooth recovery. You may better place the patient’s room on the ground floor to avoid strain. Pillow for the lower leg elevation, ice packing, supporting with walkers, appropriate toiletries help him much and keeps him hygienic. Be sure to provide the patient with the prescribed medications regularly. Monitor his condition; if necessary take him to the hospital to visit your doctor for altering the medicine. Besides, his inflammation and wound on the surgery site, it should be monitored carefully and dressed accordingly. Always keep a reminder on the patient’s follow-up dates with the doctor in order to keep everything on a smooth track. Be on time on the appointment date to discuss your loved one’s issues. If any illness occurs in between the appointments do not hesitate to take him to the hospital immediately. The doctor would have advised the patient to do exercises and slow walking. But, the patient may not have the desire to continue due to the pain and discomfort. At this juncture, the attendant should encourage him to do exercise for a faster recovery. The motivation boosts him always. If any significant change in the patient’s physical or mental state is addressed, contact the medical professional immediately. Surgery complications, medication side effects and changes in the wound must be informed to the doctor then and there. Diet plan, pain management, blood clot prevention, infection control, exercise shall be closely watched by the caretaker as the exclusive Home care traits after a knee replacement surgery. Your care brings up your loved one’s condition improved. 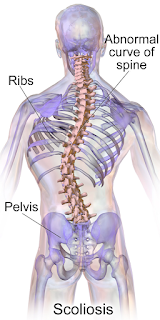 TOSH (Trauma and Orthopedic Specialty Hospital) is a leading orthopedic hospital in Chennai. The world-class treatment is offered by the experts and the best knee joint specialists are performing knee replacement surgeries effectively. 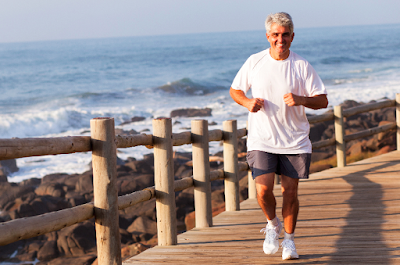 Do You Need Knee Replacement Surgery? 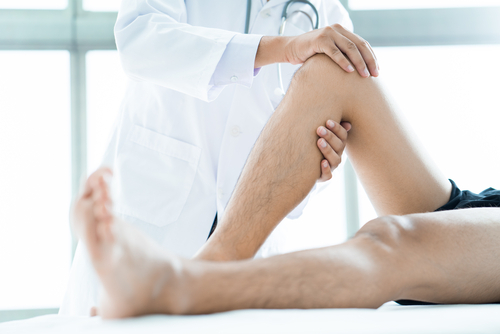 Are you suffering from severe knee pain? Are you unable to walk or move properly? Are you unable to sleep peacefully at night? It's time for you to consult an orthopaedic surgeon! The knee joints are one of the strongest joints of the body which holds the full body weight. As it holds the complete body weight, it often gets worn out with age. And this is unavoidable. People above the age of 60 are more likely to have joint pain caused due to osteoarthritis, gout, haemophilia and so on. In the first stage, knee joint can be cured with medicines but in the majority, the pain starts when the knee joint has completely worn out. The only option left is a knee replacement surgery. When the knee gets damaged an artificial thing called prosthesis is used which helps the knee to function properly for another 20 years. How would you know whether you need a knee replacement or not? Following are some symptoms or indication that will help you to know that your knee joint is damaged from inside. Disability to climb, walk and do other day to day activities. Unable to stand after rising from the bed. Unable to bend your knee. If you are going through any of the above symptoms, you need to consult a surgeon. 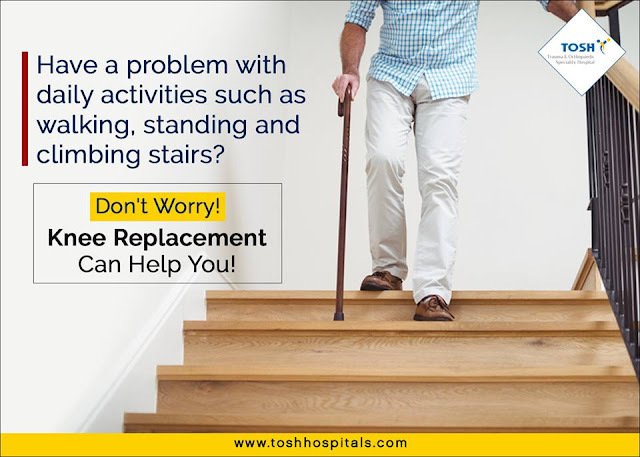 At TOSH Trauma & Orthopaedic Hospital we have a team of experienced and qualified orthopaedic surgeon who has been successfully operated more than thousand knee replacement surgeries in India. Two types of joint replacement are conducted here- partial knee replacement and total knee replacement. Depending on the patient's medical history, the surgery plan is made. If a patient has a poor heart condition, dental caries or lung infection, special preoperative measures are taken to prevent any kind of side effects. Tosh provides one of the most advanced knee replacement surgery Chennai. One of our specialities is the Home Care department. In this physiotherapists will visit your place to provide after surgery physiotherapy. What else one needs? So if you again want to do the normal activities of your life visit our official website and book an appointment with the best knee joint specialist in Chennai. Platelet-rich plasma therapy (PRP) attempts to take advantage of the blood's natural healing properties and help in the revival of cartilage to improve function and thereby reducing pain. The arrival of orthobiologicals like PRP and stem cells are used to achieve great results in case of ruptured muscles, damaged ligaments, and tendons as well as in non- healing fractures. Although the application of PRP has been around for decades, the treatment has become a more holistic kind of option in Osteoarthritis recently as PRP therapy repairs degenerative joints using your own healing growth factors. People turning to PRP injections to treat an intensifying list of orthopaedic conditions, including osteoarthritis are escalating nowadays. 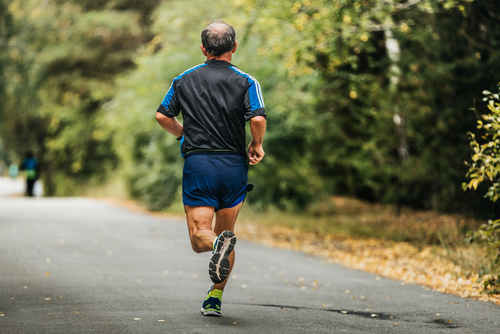 PRP injections have been gaining popularity for a number of applications in orthopaedic surgery as a way to augment both healings of various tissues and decrease pain. It is most frequently used for knee osteoarthritis, but may be used on other joints as well. The effect of Platelet concentrates on stem cells and chondrocytes has become the major area of focus. The potential for PRP to enhance cartilage regeneration and in the reduction of catabolic factors that lead to cartilage degradation has been well studied recently. How is PRP therapy done? PRP therapy is like the kickoff in a soccer game. It initiates the curative cascade into the local tissue. Nothing in the body heals without inflammation…absolutely nothing! Your blood platelets play a vital role in blood clotting and injury/wound healing. The preparation and procedure of healing doses of growth factors consisting of a blood from the patient (autologous blood collection) and then placing it in a Centrifuge machine which extracts the Platelet-rich plasma (PRP) constituent from the blood. The sample constitutes of platelets (blood cells) which consist of copious healing and inflammatory chemicals. This PRP sample is injected in the affected area under sterile precautions. This decreases inflammation and promotes healing. In general, patients are treated every 3-6 weeks. Typically three to six visits are essential per region in the body. Growth and healing factors in PRP? Few years ago researchers at the University of Florence have established the remedial and repair factors found in platelet concentrates. There are many studies and clinical evidence which support the healing factors in PRP. PDGF (Platelet-derived Growth Factor) initiates connective tissue healing through the promotion of collagen, glycosaminoglycan, and collagenase production by fibroblasts. The most important effect of PDGF seems to be its mitogenesis of mesoderm-derived cells, better extracellular matrix synthesis, and chemotaxis and activation of monocytes, neutrophils, and fibroblasts. The formation of fibrocartilage, cartilaginous and bony calluses is vital for bone healing. VEGF (Vascular Endothelial Growth Factor) also known as vascular permeability factor (the platelet-derived growth factor family of cystine-knot growth factors) is the chief regulator of angiogenesis and vasculogenesis. This plays an important role in tissue regeneration by generating new pathways of blood vessels for the therapeutic factors to get to the location of the injury. Transforming Growth Factor (TGF) including TGF-b1 stimulates the rate of chondrocyte maturation and decreases the breakdown of cartilage. TGF- beta-mediated signaling pathways and their effects significantly impact the diagnosis and treatment of many common orthopaedic diseases. The Chennai-based Trauma & Orthopaedic Speciality Hospital (TOSH), an exclusive orthopaedic hospital with international standards has now become one of the renowned Orthopaedic Care Centres in South India. 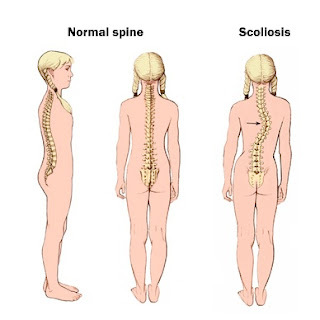 The center offers the entire spectrum of services in trauma and orthopaedics, and also specialize in PRP stem cell therapy in Chennai, trauma surgery and limb reconstruction, PRP treatment for cartilage degeneration and joint restoration, spine surgery, hand surgery, paediatric orthopaedics, arthroscopic surgery, daycare Ortho surgery etc. They are the first ever healthcare unit in the country to launch stem cell and regenerative medicine unit in orthopaedics with a dedicated exclusive operation theatre for stem cell procedures. With world-class facility at affordable cost in all orthopaedic Sub-specialty, the hospital is committed to provide good quality orthopaedic and trauma care to patients from simple fracture treatment to sophisticated joint replacement and arthroscopic procedures.